Running an online business is no small feat – particularly when you’re self-employed. 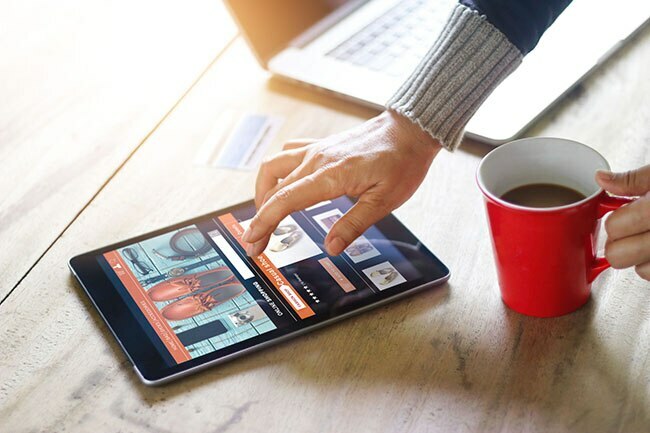 Navigating your tax obligations may be low on the list of things you need to do each day, but understanding the tax rules for e-commerce business could save you money in the long run. Here’s what you need to know. What is an ABN and do you need one? If you’re self-employed, and people pay you for your goods or services sold online, then you need an Australian Business Number (ABN). This is how the government identifies your business, making paying tax and Goods and Services Tax (GST) possible. You’ll also need to include it on your invoices – or risk clients withholding 47% of your total payment. Do you need to pay GST? If your e-commerce business has a turnover of more than $75,000 per year, you will need to pay GST. This requires you to add a 10% tax on top of your existing prices. This tax is initially paid by the customer, however, businesses are required to keep track of all GST collected and pay it back to the Australian Taxation Office (ATO) at the end of every quarter. Find out more about tracking GST and lodging BAS here. Can you claim tax deductions? Shipping and packaging: The costs you incur in delivering your products to customers can be claimed as a tax deduction. This includes shipping charges, envelopes, boxes, packing material, printer ink – everything that plays a part in the delivery process. Home office: If you run your e-commerce business from a dedicated home office, you can claim some of the upkeep costs, including a portion of your rent or mortgage, furniture, and running costs such as heating, cooling, and lighting. Operating costs: This includes any expenses you incur in building (or maintaining) your website, such as domain and web hosting charges, and platform fees i.e. Shopify. You can also claim for advertising costs and marketing tools and services you use to promote your business, such as MailChimp for email marketing or Hootsuite for social media management. Professional services: If you need to hire a bookkeeper, accountant, or legal advisor, you can claim the cost in your return. You can even claim the ongoing fees for related tools, such as accounting software. To legitimately make a claim, you’ll need accurate records of the expense, so make sure you have a system in place for capturing receipts and organising your expenses. To legitimately make a claim, you’ll need accurate records of the expense, so make sure you have a system in place for capturing receipts and organising your expenses. The QuickBooks Self-Employed app can help. As a sole trader, you are personally liable for your tax debts and, because the ATO recognises the income you earn from your business as personal income, it is subject to the same personal income tax brackets as salaried employees. The difference here is that, instead of your employer keeping tax aside and paying it on your behalf, you will need to do that yourself.